Hi everyone! It’s now been 3 months since we packed our bags and started this crazy adventure to travel around the world. To be honest, it doesn’t feel that long for us, but yet it is quite a long time. Meanwhile, we traveled through 9 countries and took 6 flights that covered over 23,000 kilometers. Looks already pretty impressive, right? We visited so many incredible places, met amazing people from all around the world and woke up every morning with the biggest smile on our faces. What have we done in the past 3 months? Where have we been? And what’s on the planning for next month? You read it all here. 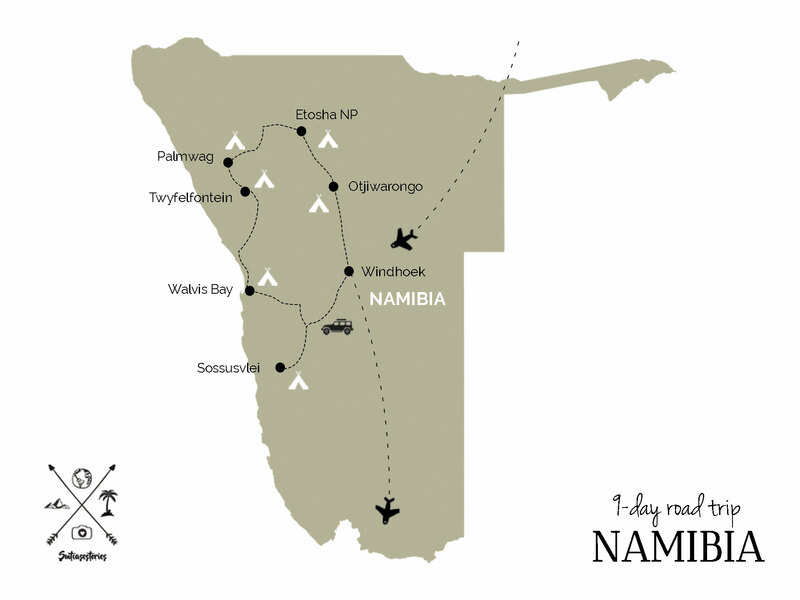 The very first destination of our world trip was Namibia. A destination where we’ve dreamt about already long before we even decided to leave home. We booked a 4×4 car with a rooftop tent and explored this beautiful country in 9 days. We slept in the tent and most of the driving happened on gravel roads without any humans in sight. As this was the very first camping trip we’ve ever made, we had some exciting nights too. Especially when we arrived late and still needed to cook in the dark knowing that elephants and other wildlife could cross the campsite at any time. 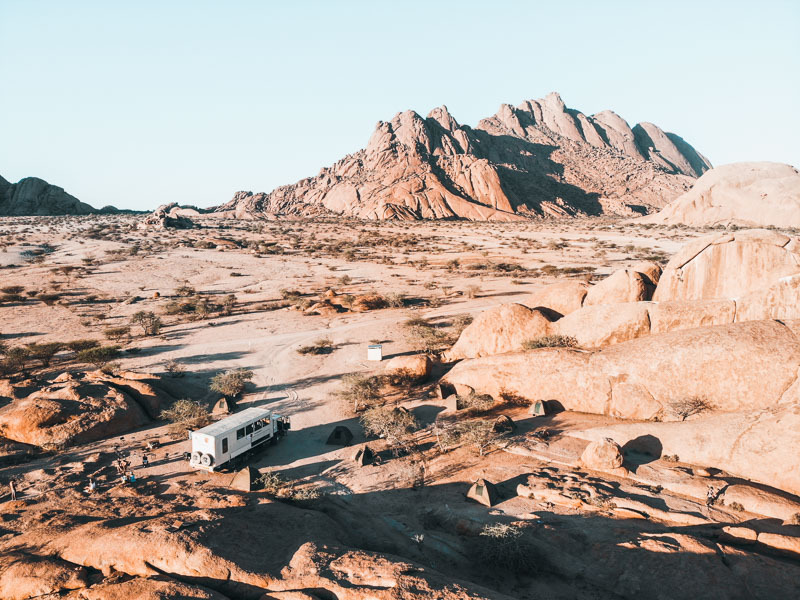 Furthermore, we walked in the oldest desert in the world, met a beautiful Himba tribe, spent 2 nights glamping, had our first flat tire and stared at so many wonderful landscapes and wildlife. Namibia you stole our heart! 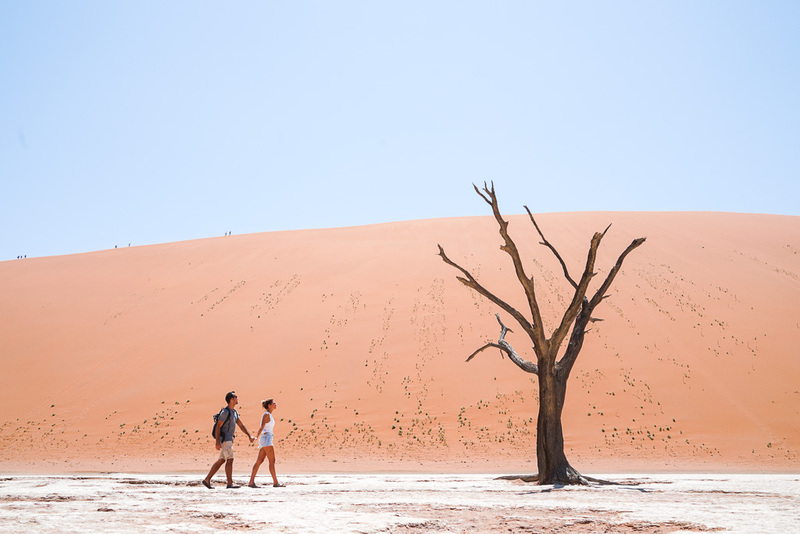 Also, another big dream came true… because we got engaged in Namibia! ♡ It was such a magical moment, with a stunning sundowner and backdrop of Sossusvlei at our cozy little campsite. Nothing fancy, just the two of us enjoying our own-cooked meal with some glasses of wine. Mik prepared everything already before we left and surprised me afterward with this amazing romantic video, to share off course also with all of you. 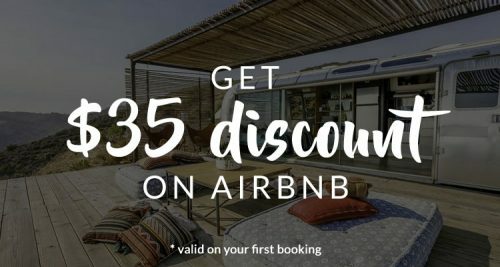 After our little road trip through Namibia, we spent 4 days at a lovely guesthouse in Cape Town. Since we had already seen Cape Town two years ago, we just took the time to relax and rest after our camping trip, we hiked Lion’s head for a day and explored the coast a bit. 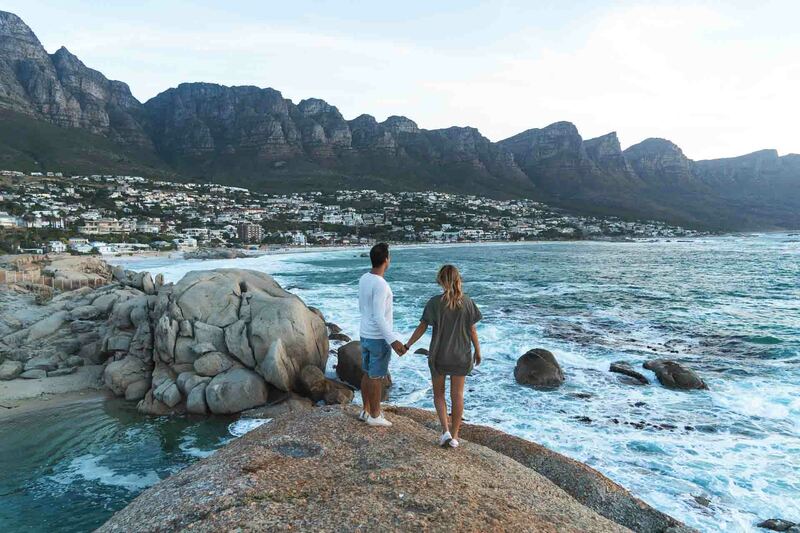 Cape Town is such an amazing city and a place where we truly can live. 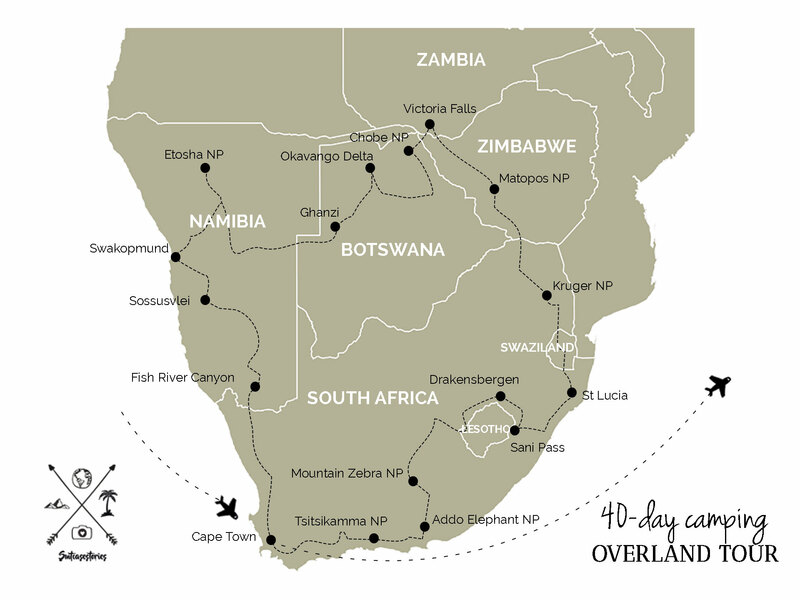 After charging our batteries, we were ready to embark for the real adventure we were looking forward so much: the 40-day camping overland tour with Acacia Africa crossing 7 countries in Southern Africa. It was such a wonderful adventure we will never forget! This trip was so unique and incomparable to anything we’ve done before. 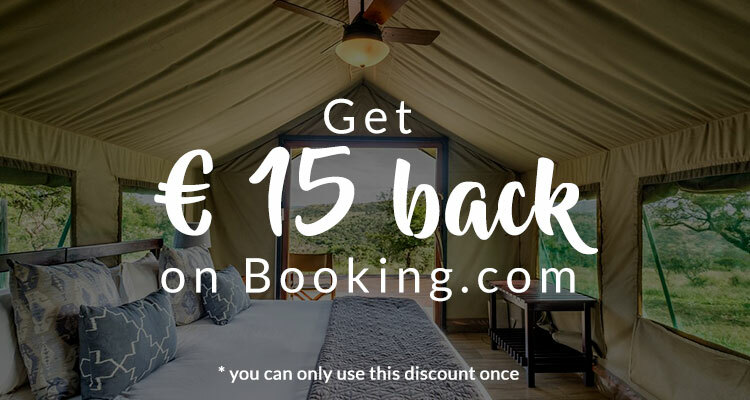 Not only we experienced unforgettable things like walking with rhinos, going on mokoro safari in the Okavango Delta, meeting the San Bushmen tribe, sleeping under the stars in remote campsites or facing our fear by jumping from the highest commercial bungee bridge in the world. We also met such inspiring and amazing people from all around the world and camped every single night. It was truly the best way to see all those countries and get the most out of the time we had. This was definitely not the last camping overland tour we did! We flew from Cape Town to Bangkok and started from this central point to travel around South East Asia. After 1 night in Bangkok, we took the night bus and ferry to the island of Koh Lanta. We started our island-hopping tour here and planned to stay only one week but ended up staying for 13 days. We enjoyed a cooking class, visited the National Park and explored some hidden beaches. It even became our favorite island in Thailand. After Koh Lanta, we went to Koh Libong, spent New Year at Koh Mook, snorkeled at Koh Kradan and ended our island-hopping trip at Phuket. We took the time to really relax after our exhausting African trip, worked on our blog, wrote some articles, created new travel movies and had so much ‘us’ time together. After soaking up the sun, we were ready for some cultural discoveries. We flew to Siem Reap in northern Cambodia, where we stayed for 4 days. 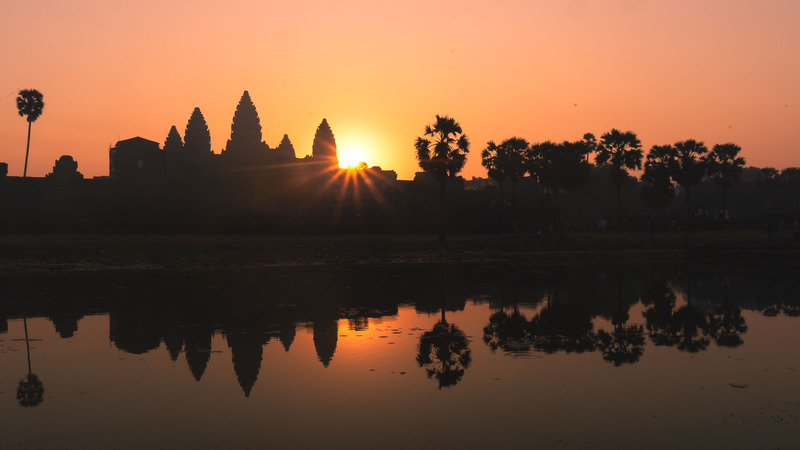 Our first visit was the temples of Angkor Wat, the largest religious monument in the world. We spent the days with temple hopping and strolling around the lovely laidback town of Siem Reap. Then, we continued our journey to Battambang where we explored the rural countryside of Cambodia. We took the bamboo train, visited the Killing Caves and saw millions of bats flying out into the night. In Phnom Penh, the capital city of Cambodia where we are now, we wanted to know more about the dark history of the Khmer Rouge regime that only happened 40 years ago. We went to the Tuol Sleng Genocide Museum, which opened up our eyes even more. Formerly this was a school, but for 4 years this was the famous prison, called S-21, where thousands of Cambodians were sentenced to death for crimes they didn’t commit. It’s unbelievable how many people have been killed behind closed doors from the world. Such a heartbreaking visit but really a must do. We think it’s important that we take time to check out things like this when we travel. It’s important history and we can only hope everyone wants to be part of the future to stop things like this. So cruel! What’s on the planning for the next 30 days? We will continue our journey in Cambodia to the south, to explore Kampot and the island of Koh Rong. After Cambodia, we are going to cross the border to Thailand again where we will first stop for some beach days at the island of Koh Chang. 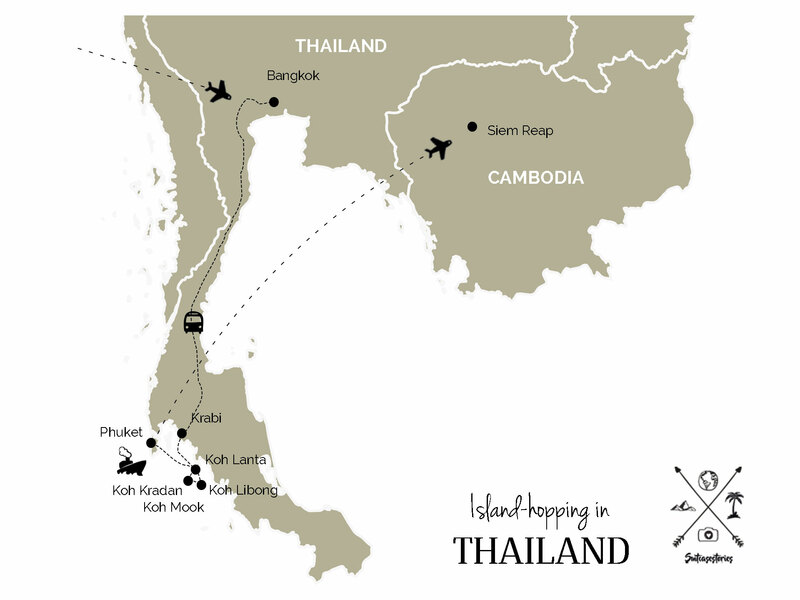 After Koh Chang, we’re heading back to Bangkok where we will take a flight to Laos on the 13th of February. 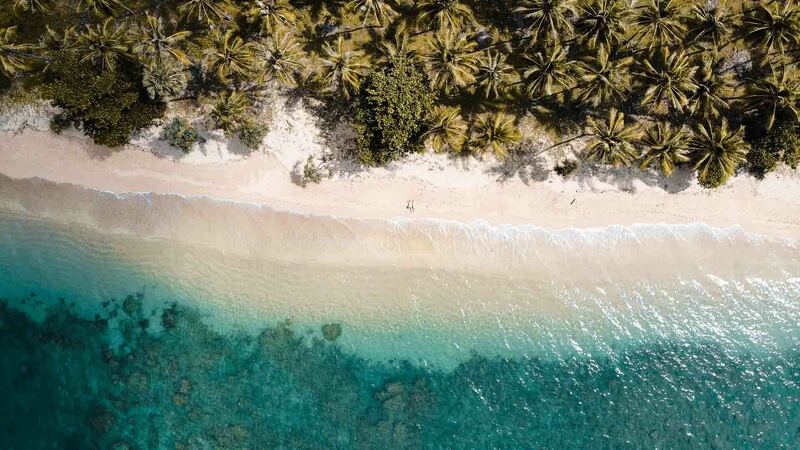 Oh, we are so looking forward to discovering all those beautiful places and can’t wait to share those new stories with you… If there are any places we can’t miss or if you have some tips, please share it with us in the comments below. We’d love to hear from you! And if you like to stay tuned? Be sure to sign up for our monthly updates and get the latest stories straight to your inbox. Let’s explore the world together!